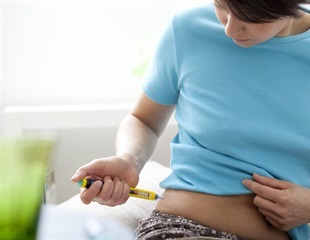 Type 1 diabetes, formerly called juvenile diabetes or insulin-dependent diabetes, is usually first diagnosed in children, teenagers, or young adults. In this form of diabetes, the beta cells of the pancreas no longer make insulin because the body’s immune system has attacked and destroyed them. Treatment for type 1 diabetes includes taking insulin shots or using an insulin pump, making wise food choices, exercising regularly, controlling blood pressure and cholesterol, and taking aspirin daily—for some. A large genomic study of nearly 275,000 people led by Penn Medicine researchers revealed new insights into genetic drivers of heavy drinking and alcohol use disorder, the uncontrollable pattern of alcohol use commonly referred to as alcoholism. Cells belonging to the body's own immune system can help fight tumours. For several years now, this has allowed oncologists to use medications known as checkpoint inhibitors to encourage T cells to eliminate tumor cells. It's gory, sticky and undoubtedly on the nose, but a blend of icing sugar, chicken stock and flexible resin is proving to be the just the right recipe for creating realistic foot ulcers as part of a world-first podiatric training initiative at the University of South Australia. NHS figures reveal that over the last ten years, the number of prescriptions for antidepressants has doubled. There has also been a rise in the drugs prescribed for conditions resulting from unhealthy lifestyle behaviours. A new report by CRUK reveals that shoppers who look for special offers in the supermarket are more likely to be obese or overweight.